Google’s Android Pie update is rolling out and we expect a long list of Galaxy devices to get upgraded and move on from Android Oreo. In fact, Samsung’s Android 9.0 Pie release could arrive a little faster than Android 8.0 Oreo did. Most Galaxy users are focused on Android Oreo and rightfully so. The Android Oreo update is currently pushing out to the Galaxy S8, Galaxy Note 8, Galaxy A series, and the Galaxy S7 with a new wave of updates planned for the summer and the fall. Now that many Galaxy users have successfully upgraded to Android 8.0 Oreo they’re wondering about the future and what’s coming next. You can expect a slew of Android 8.0 Oreo bug fix updates, monthly security patches, and an Android 8.1 Oreo roll out. You can also expect an Android 9.0 Pie update for some, but not all, Galaxy smartphones and tablets. Android Pie is a substantial update and it delivers an assortment of changes including new features, enhancements, tweaks, and fixes. It’s an exciting upgrade for Pixel users and it should be an exciting upgrade for Samsung Galaxy users as well. Samsung hasn’t confirmed Android Pie updates yet and those announcements probably won’t come for a few more weeks. That said, some Galaxy users are curious about what might happen down the road so we’ve put together an early Samsung Galaxy Android Pie roadmap. 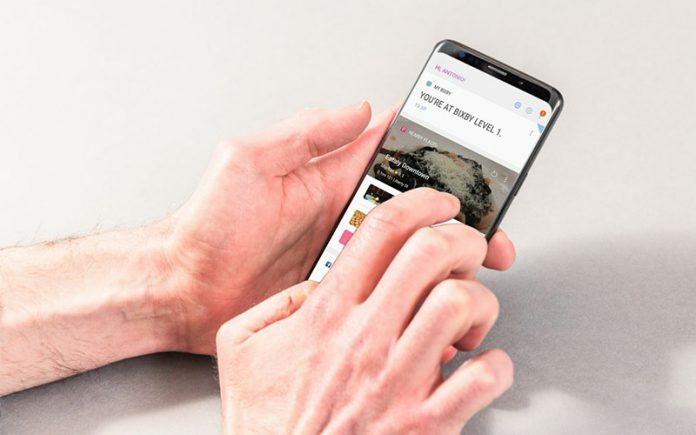 In this early guide to the Samsung Galaxy Android Pie update we’ll take you through some things you should, and shouldn’t, expect from the update and the release. Some parts of the release are extremely difficult to predict at this stage, but we can make some educated guesses using the Samsung’s standard release protocol for Android updates. It’s not on board the Galaxy S8/Galaxy Note 8/Galaxy S7 Android Oreo updates, but Google’s Project Treble, one of Oreo’s key ingredients, is on board the Galaxy S9 and Galaxy S9+. That’s excellent news. In a nutshell, Project Treble’s goal is to help cut down the amount of time it takes for companies to release major Android software updates. This is obviously a huge problem with Samsung and its Galaxy smartphones. Android Oreo started rolling out for Pixel and Nexus devices back in August, 2017. Samsung’s first Android Oreo update landed in early 2018. According to Google “Project Treble separates the vendor implementation (device-specific, lower-level software written by silicon manufacturers) from the Android OS framework via a new vendor interface.” A formal vendor interface doesn’t exist in earlier versions of Android . Qualcomm’s also promised “fast commercial availability of the next version of Android.” The company says that by “having early access to Android P, Qualcomm Technologies optimized its software on Snapdragon 845, 660 and 636 Mobile Platforms to ensure readiness for OEMs to upgrade to Android P at the time of launch.” The Galaxy S9 and Galaxy S9+ both utilize Qualcomm’s Snapdragon 845 chip. We’ll believe it when we see it, but the days of getting Android updates months after Nexus and Pixel devices could end with Android 9.0 Pie. Unless it drastically shakes things up with Android 9.0 Pie, we expect Samsung to release an Android Pie beta for the Galaxy S9 and Galaxy S9+. In late 2016, Samsung launched an Android Oreo beta for the Galaxy S8 and Galaxy S8+. 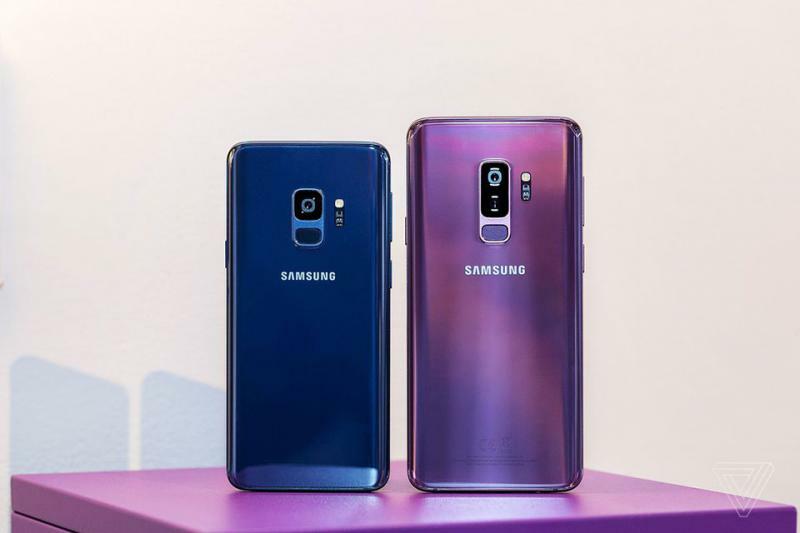 The beta gave users a chance to try the features early, but more importantly it helped Samsung squash bugs ahead of the software’s release in 2018. In late 2015, Samsung released an Galaxy S7 Nougat beta. Like the Galaxy S8 Oreo beta, the Galaxy S7 Nougat beta was limited to select devices in select regions. The company also ran an Android Marshmallow beta for the Galaxy S6, Galaxy S6 Edge, and Galaxy Note 5 back in 2015. Nothing is confirmed, but we expect the company to take a similar approach with the Galaxy S9, Galaxy S9+, (if we’re lucky the Galaxy Note 9) and Android Pie. If you own a device like the Galaxy S8 or Galaxy Note 8 or if you own a mid-range Galaxy phone or tablet, your chances of seeing a beta are much slimmer. Samsung’s betas are typically limited to flagships. The most prominent question we’re currently getting from Galaxy owners is: “Will my device get the Android Pie update?” We’re not Samsung so we can’t give you a definitive answer, but here’s what we think will probably happen. Samsung typically stops updating Galaxy devices with major Android releases after two updates. This isn’t public policy, but it’s a protocol the company’s followed for several years now. The company’s slowly improving but popular devices like the Galaxy S6 and Galaxy Note 5 are in danger of missing Android Oreo. We don’t expect either device to get Android 8.0 at this point. That said, devices from 2017 and 2018 should be in the clear. The Galaxy S9 and Galaxy S9+ will get Android Oreo, so will the Galaxy S8 and Galaxy Note 8. Mid-rangers from 2017 and 2018 should get the upgrade to Android Pie as well. If you own an older device there’s a good chance you’ll have to root in order to get Android Pie features running on your Galaxy phone or tablet. Apple’s iOS updates roll out to everyone all at once, but Samsung’s Android software releases have a pecking order. Here’s what you can expect from Android Pie. Flagship devices usually get first dibs on new software. 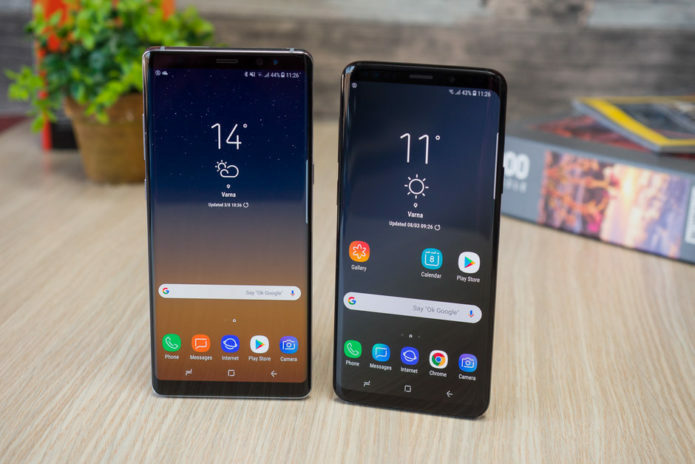 For instance, the Galaxy S8 and Galaxy S8+ were the first devices to Android 8.0 and Samsung’s new Experience 9.0 UI. The Galaxy Note 8, the company’s other flagship from 2017, was next in line. Once the company deploys software for its flagship devices, the update starts hitting older devices and mid-rangers. So what does this mean for Android Pie? It means the Galaxy S9 will likely be the first to get Android 9.0 Pie. After that we’d expect the Galaxy Note 9, Galaxy S8, and Galaxy S8+ to be next in line followed by devices in the Galaxy J, Galaxy Tab, and Galaxy A series. Samsung’s shortened the gaps between updates for flagship and mid-range devices, but we still expect the more well-known, better adopted devices to get their Android 9.0 Pie upgrades first. Samsung has finally deployed Android 8.1 Oreo and we’ve been getting questions about its release from those still running Android 8.0 Oreo. At this point, if your device is already running Android 8.0 Oreo, expect your device to remain on Android 8.0 Oreo until you get upgraded to Android Pie. The Galaxy devices currently running Android 8.1 are new devices. The devices that will likely get upgraded to Android 8.1 Oreo in the future will be coming from Nougat, not Oreo. Samsung did something similar last year with Android Nougat where the only devices that received a version change to Android 7.1.1 were 1) new 2) previously running Android Marshmallow. So if you’re currently using an older device that’s eligible to receive an upgrade to Android Oreo, there’s a good chance you’ll get Android 8.1 down the road. If you’re currently using a device like the Galaxy S8, your next major version change will probably be to Android Pie. Google managed to push Android Pie out a little bit early this year, but that doesn’t mean Android Pie will arrive for Galaxy devices tomorrow. Again, we expect Samsung to offer an Android Pie beta to Galaxy S9 users and we’d expect that beta to stretch for several weeks. If Samsung’s able to get Android Pie out this year, and that’s still a big if, it’s probably coming much later in the year. We can’t predict which features Samsung will pick from Google’s version of Android Pie and what features it’ll bring over from its new UI (Experience 9.5) but we can say this: Samsung’s Galaxy Android Pie updates probably won’t be created equal. If you own a newer device like the Galaxy S9 or if you’re planning to buy the Galaxy Note 9, you’ve got nothing to worry about. Flagship devices always get the best version of Android and Samsung’s Experience user interface. If you own an older device, you might not get the full suite of Android Pie/Samsung Experience features. In most cases, features are held back due to software limitations or performance concerns. For instance, Samsung held the Galaxy S7’s Always On Display feature back from the Galaxy S6 and Galaxy Note 5. We expect Android Pie updates to be similar, but if you want the absolute best software experience Samsung has to offer (the most features, tweaks, etc), you’ll want to buy the latest device. If your device fails to secure an upgrade from Android Oreo to Android Pie don’t expect software support to just end. Samsung might cut major updates off at the two-year mark, but older devices will continue to get bug fixes and security patches. So if you own one of these devices and you don’t get Android Pie, there’s a chance you’ll still get monthly or quarterly security updates.